McHenry County College (MCC) will host a student photography exhibition titled “It’s Dreadful Imposition” at the Woodstock Courthouse Satellite Gallery, 101 N. Johnson St., in Woodstock from Jan. 25 through March 1. An opening reception takes place from 5-7 p.m. Thursday, Jan. 25. This exhibition showcases a wide range of MCC photography students presenting new photographic work from the recent academic semester. These photographers are all exploring their own personal subject matter through making pictures of a world outside of the classroom. Participating students include: Alyssa Dowell of Crystal Lake, Amanda Glaser of Spring Grove, Cory Gul of Huntley, Conrad Lobinsky of Capron, Rachael Patterson of Marengo, Katie Recupido of Crystal Lake, Bailey Shannon of McHenry, and Jaclyn Walter of McCullom Lake. 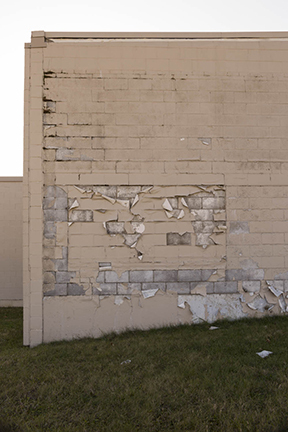 Recupido explores the patina of use by photographing buildings, structures and equipment along industrial corridors dispersed through McHenry County. Corey Gul mines the psychological angst of a family breaking up by staging photographs centered on the dining room table. 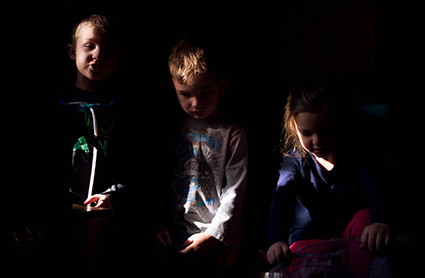 Rachael Patterson uses dramatic light to photograph children at play in a way that avoids the clichés of flattering, precious images of children. Jaclyn Walter investigates her art history training to create forms that seem both classical and contemporary. Alyssa Dowell tackles technical assignments to create otherworldly scenarios through an insistence on photographic form. Amanda Glaser uses light to create mysterious, stoic images centered on the idea of the American Cowboy. Shannon, Lobinsky and Dowell all collaborated to stage a fantastical reimagining of a beloved children’s story turned sinister. The imposition of these students’ thoughts and obsessions come to bear in this exhibition. In its second year, this is MCC’s ninth show at the Satellite Gallery, which opened in September of 2016 in the Old Woodstock Courthouse in partnership with the Northwest Area Arts Council. The reception is free and open to the public. Satellite Gallery is located inside the Old Courthouse Arts Center, 101 N. Johnson Street in Woodstock. Gallery hours are 11 a.m. to 5 p.m. Thursday through Saturday and noon to 5 p.m. on Sunday. Closed Monday through Wednesday. For more information, For more information about this exhibit or about photography classes at MCC, contact Justin Schmitz (312) 285 8842 or jschmitz@mchenry.edu.